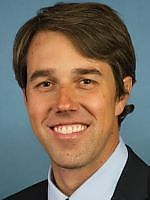 Info Beto O'Rourke is a life-long El Pasoan, who attended Carlos Rivera and Mesita elementary schools, and El Paso high school before graduating from Columbia University in 1995. He lives in Sunset Heights with his wife, Amy Sanders, and three children. Amy helped start and runs the La Fe Preparatory School in Segundo Barrio. Beto grew up in a family that was deeply involved in business and civic life in El Paso. His mother Melissa O'Rourke worked for, and now owns, Charlottes Furniture, a business started by his grandmother in 1950. His father Pat O'Rourke was El Paso County Commissioner and then County Judge in the 1980s. Beto returned to El Paso to contribute to the community he loves. Along with a few friends, Beto started Stanton Street Technology in 1999. The successful internet services and software company has employed dozens of El Pasoans in high skill, high wage technology jobs over the last 12 years. Beto is committed to public service. He served on the El Paso City Council from 2005 to 2011.